Helping your business grow means spending lots of time on the go. With MobilePay, you can take your payment systems and data with you. Accept safe, secure credit card payments anywhere from the gym floor to the grocery store. Power and connect all your satellite locations without paying for secondary terminals. Take your products and services wherever your customers need you, and we’ll help you get paid. No hassle. No delays. How can Mobile Pay help your business? Turn your smartphone into a smart business management tool with phone mobile payment processing. No matter what type you use, Beacon can show you how to turn your iPhone or smartphone into a mobile point of sale system that facilitates all your direct and e commerce payments. There are so many payment services that people can use to send money and payments. But there’s no need for you to have accounts with every payment service. Just sign up with Beacon and you’ll be able to accept Visa, Mastercard, as well as ApplePay, Google Pay, and Samsung Wallet. 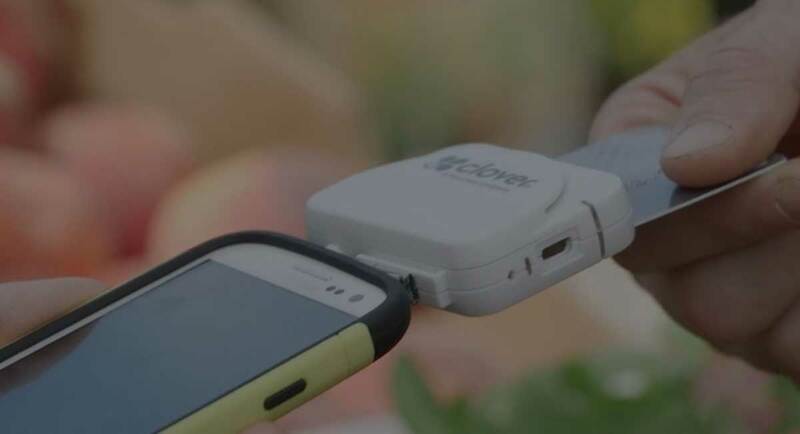 You’ll receive a card reader that plugs into your smartphone. You can accept EMV chip cards and NFC contactless payments in addition to traditional card swipe payments. Our payment processing is encrypted and secure, keeping your company’s and your customers’ data secure whether you or your employees handle the transactions. There are two main reasons why your company needs Beacon Mobile Pay: you and your customers. 1. You’ll improve the customer experience. When you accept mobile payments, you provide the added value that customers and clients are looking for from businesses and professional services. With Beacon phone mobile payment processing you can accept a variety of payment methods quickly and easily. 2. Customers prefer mobile payments. Today’s consumers are paperless and cashless. That means no cash and no checks. When you provide service at a home or business location, customers want to pay quickly with a credit or debit card, or even with their smartphone. Learn more about how mobile payment processing systems can help you take your business to the next level. Contact us for more details and we’ll help you get started with mobile payment technology.